It is not easy for a newbie to choose an exercise program—or even those at an intermediate level for that. Everyone loves to get in the right shape and it is not as strenuous as you may think. You do not have to scale mountains to achieve this. To improve your general health is ideal and you can make use of rowers to do get this done. The rowing machine can be used by all ages as it is easy to operate it is low impact and you can achieve that fitness level you have always desired. Having rowers in your gym is something worth doing as there are many advantages for people of all ages and at all levels. Whether you are looking to improve your rowing technique, want to take up cardiovascular fitness, training for cross-country skiing, want to build muscle mass, enjoy high-intensity interval training, or just fancy a quick workout at home through indoor rowing, these machines are ideal for a low-impact workout.A rower can simply be defined as a piece of equipment used for exercising the body. It is similar to the motion of a rowing boat in the water. Simply put, this makes it a full body workout for all. A rowing machine is a great workout machine that, if used correctly, guarantees weight loss, the building of muscles, toning and boosting and increased stamina. 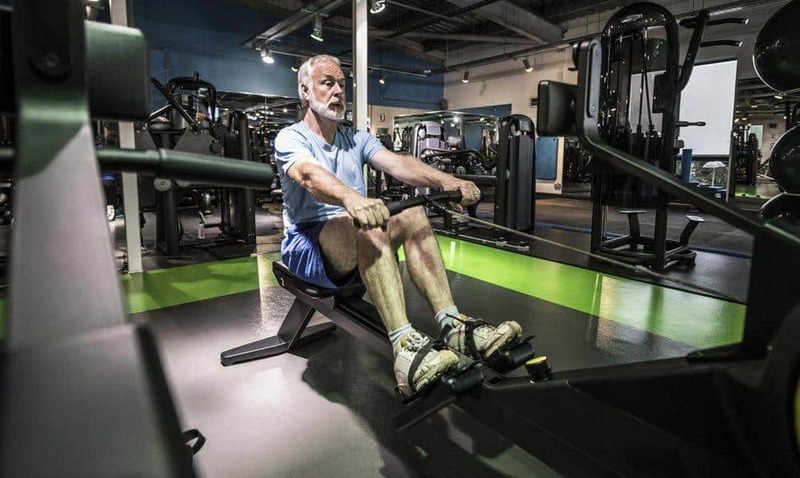 As it is a low-impact exercise, a rowing machine can be beneficial to people of all ages be it under 15 or well over 60 years of age. It is a game-changer in fitness workout machines. A rowing machine works out many major muscle groups. Using a rowing machine will assist you in the development of both your upper and lower body. Another important of using an indoor rowing machine is that it facilitates the pumping of the heart and also keeps your lungs functioning optimally. Above all, the rowing machine offers a serious and aerobic workout. Rowers can be used by people of all ages. Your age doesn’t matter, as a fitness plan that incorporates aerobic exercise or cardio is an important addition to your general well-being and health. There are many benefits associated with participating in regular cardio or aerobic exercises, such as enhanced stamina, weight loss, and a stronger and better immune system. There is a release of endorphins during the workout. This helps you to sleep well and improve your moods. For this to happen, it needs to work all the major muscle groups. To Achieve this, a rowing machine covers all bases. A rowing machine is a piece of workout equipment that will effectively increase your oxygen levels when you inhale as well as increase your heart rate. If an effective cardio workout is your goal, you need a good rowing machine. Most rowing machines offer adjustable resistance which allows you to build up your heart rate effectively. A rowing machine will also slow your heart rate back down to your resting rate. You don’t have to live on water or use a kayak every day at the local river to reap the many physical benefits that come from rowing. There are many amazing cardio machines that are very affordable and can be used in the comfort of your own home to get fit and healthy. Sometimes, it is more of a challenge to be motivated before working out than engaging in the workout exercise itself—especially if it means having to take the time to get ready, jump in the car, battle across town, and then have to wait until someone has finished using the machine (probably now covered in disgusting sweat). However, rowing is easily accessible and not complicated.To workout in a positive and convenient environment, you can employ another workout buddy to join you or listen to music as you row. Constant workouts using a rowing machine can assist you in the burning of calories, increase your energy, and tone your muscles. An average of 600 calories is burned per hour using a rowing machine. This is not only high but also more efficient than other workout machines in the gym. In fact, you will have to ride close to 78 minutes or more when you are on a stationary bike to equal a 60 minutes rowing machine workout. However, to achieve your fitness target using a rowing machine, you will also need to eat healthy with a balanced diet. Another advantage of a rowing machine is the upper-body workout. Unlike a lot of workout equipment, you will get a great upper-body workout with a rower. Rowers exercise the trapezii in the upper back, the rhomboids in the shoulders, and lower back lats. The advantage of having stronger shoulders and back is that it promotes better posture and reduce the risk of back pain from slouching. What’s more, the advantages of the rowing machine do not end here. A rower also offers a good workout session for abs, biceps, and pecs, which, in turn, assist you in the development of a stronger core. Furthermore, because of the need to maintain a strong grip on the oars, you must also develop strong wrists and hands. This is also beneficial to anyone who enjoys activities such as yoga and climbing. At first, you may feel exhausted from using a rowing machine.But, as you continue, you will reap the benefits which include increments in endurance and boost energy levels. You tend to build your endurance faster using a rower than engaging in physical activities or using any other workout equipment. Since rowing training or exercise is cardiovascular and involves the working out of all major muscle groups, it is better than other gym equipment on the market. As you continue to use a rower, you will get increase your stamina and enhance your metabolism. What’s more, increasing your energy levels allows you to do more intense workouts. This can be considered as one of the best advantages of the rowing machine. Rowers have a lot to offer to the lower body. In fact, people who enjoy rowing consider it a primary lower-body workout. The major leg muscles that are involved are the quads in the upper front of the thighs. However, the buttocks, glutes, and calves also feel the burn. Building strong buttocks and legs gives you an amazingly strong-looking appearance. Calories are burned at a faster rate when the lower body passes through a workout. In addition, to enhance tone and the strengthening of muscles, resistance training on a rower helps you to keep balance and maintain flexibility. People who have already existing problems with their joints or are overweight may carry higher risks than the benefits of high-impact workouts, such as running or weight training. A rowing machine, however, offers low-impact training and is ideal for people who are not able to engage in weight-bearing exercises, like yoga, hiking, and walking. Rowing machines have a natural motion and are low impact ensure minimal stress on the joints. Like stationary bikes, using a rowing machine can prevent injury. Rowing can help people to condition and strengthen their knees after undergoing surgery. Through accurate rowing firm, you can lower the risk of back strain. A good rowing posture allows your legs to do the work. A good rowing posture also takes off pressures from your back. There are many different rowing machines that cover a broad spectrum of prices. High-end rowers might be costly for some people but you can still get many affordable rowers for your workout training. You don’t need to break the bank or go beyond your budget to purchase a rower. Different rowers are of extensive features and many models and great quality. You can get a good rower that has good quality features for under $200. You can find a rowing machine at different gyms but you can save to get a rower for yourself if the rowing workout is your major form of exercise. Since a rower is not complicated, it is easy to use even when you are a newbie. Unlike other gym equipment that may be complicating and leave your head in a state of confusion, you can use rower as it is easy to learn how to use and is perfect for all abilities and ages. 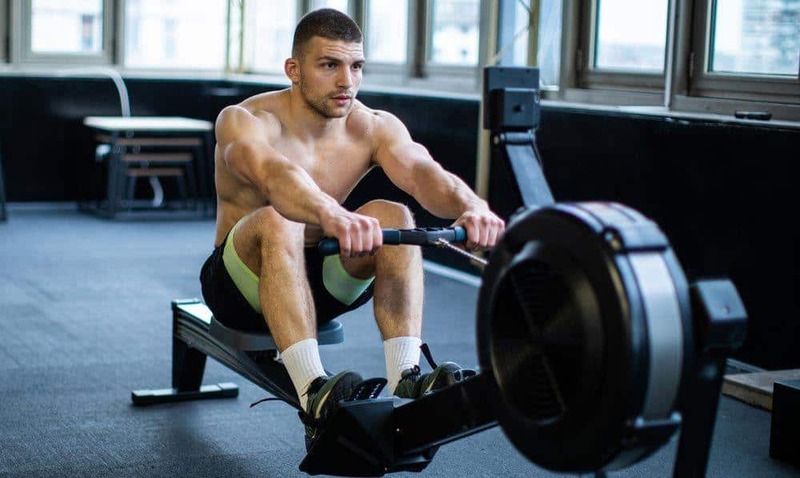 It is of paramount importance, however, to use the right rowing techniques when you are exercising with a rowing machine. This will help you to reduce potential injury and maximize your workout. It is a great way for you to keep your body straight when rowing. Also, keep your core engaged and row in a smooth and fluid motion. It may seem difficult at first, but you will get used to it in no time. Above All, Rowing Is Fun! It is difficult to be motivated to exercise, especially if you don’t love exercising and you are tight on time. To overcome this, you need to make a fitness plan that you can build around your already-busy lifestyle. Rowing has an impact on every part of your body so you can stay engaged while you row. You can put on your favorite music and row to the beat. For extra encouragement, you can recruit a workout buddy or put on a TV show. You will feel good to row daily as you become a pro! From the benefits mentioned above, you will see that having a rowing machine is something you should consider getting.  It offers you a fitness level other gym equipment does not give and the result is often achieved faster than other workout equipment.